Is this getting a 2015 repress? Can anyone comment on the vinyl noise /quality of this pressing...? I only recently realised that on some parts, like during the track Posers, a nasty crackle runs along. I've had this with some other pressing before with Holy Other's Held. Those where visible, this one ain't. Who has this on their copy too? Do Modern Love and Tri Angle share the same pressing pant? 'Passed Me By' was kind of a snoozefest for me, but this, this is something else. Deep, subterranean techno that brings to mind scenes from Gaspar Noe films. Even thicker and darker than "Passed Me By" which I did not think was even possible. I've never experienced techno of this sort before in all my 12 years of listening. This man is from another galaxy and on some next level of dark morbid creativeness. Props to Modern Love this release is off the hook. That track Cherry Eye is so evil it would make jesus cry. Someone please send Andy a link to this page and tell him not to stop. I never write these things, always feel a bit sickly but this time its different. 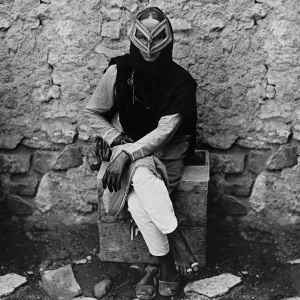 If Andy Stott actually ever reads i just want him to know, through some dark days and hard times, through the hard slog that can be life i have found his music an elixir, an antidote to the heart ache of growing older and losing loved ones. This is a thank you, and a big up, a rinse out and a hol'a from the roof tops... tracks like drippin' unknown exception, dark details and from this beast of a release we stay together and right back to ceramics and florence even from merciless i have rairly come across music i can listen to so much and never ever tire of. This album is a great follow up to his previous one "Passed Me By," and again proves that Andy Stott is a true innovator in not just dub tecnho, but in electronic music as a whole. You aren't going to hear the same repetitive, washed-out synth stabs, white noise and reverberation that has become a staple of dub techno--not that those elements are a bad thing. It's just that Mr. Stott really has a unique perspective on his sound arrangements. The title track, "We Stay Together," is absolutely sensational and deserves repeated listens due to its blend of heavy bass, twisted vocal samples, and just straight-up awesome-ness. Must have. Holy crap, this is some seriously heavy stuff. Leaden, crunching beats a la Berghain except at 105bpm. Makes we want to click my fingers and be in a warehouse, 4am and wasted. I don't mean this is party music only though. Underpinning tracks like, Posers are glimpses of melody, teasing but ultra deep. What a treat.